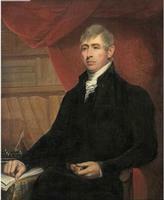 WINSLOW, EDWARD, army officer, politician, judge, office holder, and author; b. 20 Feb. 1746/47 in Plymouth, Mass., son of Edward Winslow and Hannah Dyer; m. Mary Symonds, and they had at least 14 children; d. 13 May 1815 in Fredericton, N.B. Edward Winslow was the direct descendant of the first Edward Winslow to settle in North America, who arrived on the Mayflower in 1620 and became the valued deputy of Governor William Bradford of Plymouth Colony. Members of the family continued to serve Plymouth Colony and later Massachusetts Bay Colony in a variety of posts at the local, provincial, and imperial levels. Our subject, “Ned” Winslow, was imbued with this tradition of public service from his earliest years. He grew up in a great mansion, overlooking Plymouth Rock, which his father had built to entertain the social élite of Massachusetts. After graduating from Harvard College in 1765, Winslow began to follow in his father’s footsteps as a local official in Plymouth, and served as naval officer, registrar of wills, and clerk of the Court of General Sessions. He also moved conspicuously in the governing circles of tory Boston. At one time he devised an elaborate system to reorganize the chaotic provincial records which won the approbation of Governor Thomas Hutchinson, and in 1769 he was a prime mover in the establishment of the Old Colony Club, an organization devoted to memorializing the founders of Plymouth Colony. When in 1770, at the age of 23, Winslow was asked to deliver the public address celebrating the 150th anniversary of the landing at Plymouth Rock, he could fairly believe that his career was launched. 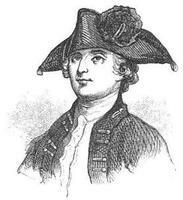 When hostilities broke out on 19 April 1775 Winslow rushed to fight with the British regulars at Lexington. 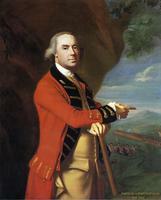 Commended for valour by his commander, Lord Hugh Percy, he continued to serve the army in a paramilitary capacity throughout the rebels’ eight-month siege of Boston; during this time he was appointed by Lieutenant-General Thomas Gage* collector for the port of Boston and registrar of probate for Suffolk County. In early 1776 Winslow made the painful decision to leave his family and his native land and go with the British troops to Halifax, N.S. There, on 30 July, he was commissioned muster master general of the loyalist forces in North America with the provincial rank of lieutenant-colonel, a post he held until the end of the war. The appointment stirred his love of display: informed that no particular uniform was prescribed, he ordered one “‘with a blue coat, scarlet cape, and a scarlet lining with plain white buttons.’” Later in the summer he accompanied the troops under General Sir William Howe to their new base in New York. Except for an exciting and successful series of coastal raids on Rhode Island, directed by Edmund Fanning, during the summer of 1779, Winslow spent most of the war monitoring muster rolls. At the end of hostilities, he had but little choice as to his future. He could not go to Massachusetts where he was legally proscribed. Family debts and responsibilities kept him from taking the preferred course to England where the best jobs lay. He thus reluctantly accepted Sir Guy Carleton’s suggestion that he go to Nova Scotia as an agent for the loyalist regiments and lay out lands for the 6,000 troops and their families who would eventually follow. After having settled his own family in Granville, N.S., in early 1783, Winslow worked assiduously to get the best possible situation for himself and his loyalist troops. He cultivated the friendship of Governor John Parr* and other Halifax officials; but, while these gentlemen proved willing to share their table with Winslow, they clung tight to their power over land grants. In particular, they resisted Winslow’s determination to settle his loyalist regiments and their families on a single block of land because they understood that realization of this plan would in effect establish a separate, potentially competitive political community within Nova Scotia. Winslow’s proposal singles him out as the prophet of the future province of New Brunswick and remains the most distinctive contribution of his long career. The structural elements in his suggestion were not, however, entirely new. The need for a separate loyalist province to serve as a haven for those supporters of the British cause who could not return to their former homes in America had long been recognized by the British government, and an abortive attempt to meet it was made in 1780 when the northern portion of what is now Maine was designated the province of New Ireland [see John Caleff]. 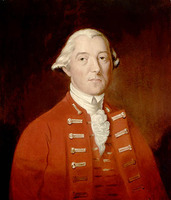 Moreover, the policy of resettling the loyalist troops in British North America along regimental lines, so that they could be easily called up again if the need arose, was first suggested by Sir Guy Carleton. 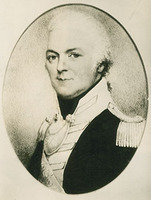 Winslow’s key contribution was in combining the idea of a separate loyalist province with Sir Guy’s wish to keep the loyalist military organization intact and in affixing these concepts to a particular site – the northern region of Nova Scotia, centring on the Saint John River valley. Yes – by God! we will be the envy of the American states. . . . When the people of the neighboring states shall observe our operations. When they see us in the enjoyment of a regular system of Government – protected by the mother Country – not sad’led with enormous taxes and compare their state with ours, Will they not envy us? Surely they will. Many of their most respectable inhabitants will join us immediately. 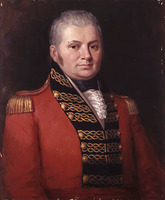 To realize his goal of a separate loyalist province, Winslow communicated his proposals and his hopes to numerous colleagues in Nova Scotia and Great Britain. The project won ready assent among refugees frustrated by lack of employment and difficulties in obtaining land grants, and an intricate, year-long political struggle ensued between the advocates of a new province and those wishing to retain the political integrity of Nova Scotia. This campaign is known in Canadian history as the partition movement. Winslow was only one of several protagonists in the struggle, but he was an important one. His most significant conquest was Brigadier-General Henry Edward Fox, the commander-in-chief of British forces at Halifax and brother to the powerful British politician, Charles James Fox. 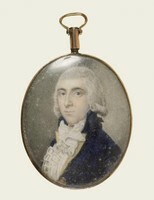 In July 1783, through the agency of his good friends George Duncan Ludlow and Ward Chipman*, Winslow was appointed Fox’s secretary and he met with the general in Halifax that August. Chipman had sternly admonished Winslow to “be a man of business, indulge your convivial penchant with caution,” and Winslow clearly took the hint. Fox not only became his warm friend but joined his own ambitions to Winslow’s plans for the new loyalist settlements, at one point seeking the governorship of the proposed new province for himself. 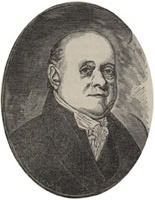 Among other important allies whom Winslow helped organize in favour of partition were the Penobscot Associated Loyalists, the community of Maine timber merchants who had emigrated en masse to St Andrews in order to remain within the British navigation system [see William Gallop]; several key leaders of the loyalist refugee groups who were settling along the Saint John River, such as Amos Botsford, Gilfred Studholme*, and George Leonard*; and William Hazen, the most prominent of the pre-loyalist settlers. The second key task that Winslow performed during the partition movement was to gather information regarding the economic and political condition of British North America and transmit it to London. This information was used by his loyalist colleagues and their supporters to convince the imperial government not only of the need for a separate loyalist province but also of its viability. The political arguments advanced to support their cause centred on the inability of Halifax to govern the distant settlements across the Bay of Fundy. Wartime promises of a separate loyalist establishment were also emphasized, as was the incompatibility of the refugees with the inhabitants of Nova Scotia, many of whom had supported the American revolution. Unspoken, but surely not unnoticed by London, was the welcome relief a new province would offer in providing jobs for some of the loyalist placemen who had been besieging Whitehall since the onset of the war. The economic arguments supporting partition emphasized the natural resources of the area. Winslow and his colleagues sent to London detailed estimates of the timber, fishing, and agricultural potential of the proposed new colony. These were used to convince the British government that the area had a solid economic base and could look forward to a brisk supply trade with the British West Indies. The partition movement did not, of course, go unopposed. Governor Part and the Nova Scotia Council used their influence to belittle the need for a separate province, which would diminish their political jurisdiction and present a formidable rival in London, the loyalists having many highly placed friends there. Halifax officials, moreover, held immense tracts of unoccupied land in the Saint John River valley and the Cumberland area; these would, they knew, fall forfeit if a new government took over the northern region. Resistance came as well from within the proposed new province. Along the Saint John River a majority of the old inhabitants and many dissident loyalist soldiers and refugees clustered around the lawyer Elias Hardy* in order to oppose partition and express their desire to remain part of Nova Scotia. Basically, these men resented the way in which Winslow and the other loyalist agents had favoured themselves and their allies in the distribution of lands, and they did not wish to see this exclusive officer group permanently established in power. Yet despite the strenuous opposition, the campaign organized by Winslow and his colleagues, and backed by powerful English friends, proved decisive. On 18 June 1784 the Privy Council approved the establishment of the province of New Brunswick, expressly to provide an adequate refuge for the “great number of Your Majesty’s Loyal Subjects,” and in September of the same year the Great Seal was passed, bearing the significant motto Spem Reduxit (“Hope Restored”). Ironically, relief finally came to Winslow not out of his services to New Brunswick but from a brief wartime contact. 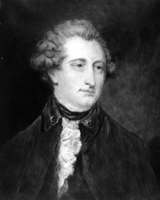 In 1804 he was called to England to justify his accounts as deputy paymaster of contingencies, and while he was there his old military commander, Lord Hugh Percy, now Duke of Northumberland, arranged for his appointment to the New Brunswick Supreme Court. When the appointment was made in 1807, the fact that Winslow was not a lawyer upset the local bar and Lieutenant Governor Carleton, but he himself was grateful for the opportunity to put his affairs in order at last. 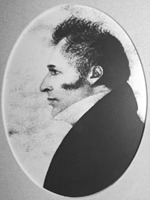 In 1808 Winslow served briefly as president of the province and courageously disobeyed his instructions in order to disband a mutinous militia in time for spring planting. His deep-seated resentment of the United States surfaced anew during the War of 1812, and he prayed that Great Britain would finally give the Americans “the chastisement which they so richly deserve.” He died in 1815, pursued to the grave by his twin nemeses, debt and gout. His wife and several children survived him. In 1816 the New Brunswick House of Assembly granted £100 apiece to Winslow’s two unmarried daughters in recognition of his “numerous services” to the province. Winslow’s correspondence is the single most important collection of loyalist personal papers in Canada. By turns erudite, passionate, vitriolic, and high humoured, his letters vividly record the drama of the loyalist exodus to British North America as well as the minutiae of daily life in early New Brunswick. Winslow could pierce an opponent with a phrase. Thus Elias Hardy was a “pettifogging notary public,” Richard John Uniacke* “a great lubberly insolent irish rebel,” and the waspish Jonathan Odell “a High priest of the order of Melchisedec. “Mainly, however, Winslow’s rhetoric reflected his enormous zest for life and his profound love of humanity. The climate of New Brunswick had “all the marks of virginity about it. It breaks wind furiously – spits a little – but we continue to manage it.” And the disputatious New Brunswick Assembly was simply another “‘Lilliput,” composed of “fellows here who three years agoe did not know that Magna Charta was not a Great Pudding.” As for himself, Winslow confided, “If I was to be transformed into an instrument of musick . . . I would chuse to be a fiddle because it would requre some skill and taste to play upon me.” Winslow certainly was a finely tuned instrument, not adept at clearing a wilderness, but admirably suited to civilizing and cultivating a community of people. A large selection from Winslow’s correspondence, edited by William Odber Raymond*, has been published as Winslow papers, A.D. 1776–1826 (Saint John, N.B., 1901). The letters he wrote under the pseudonym Tammany appeared in the Royal Gazette and New-Brunswick Advertiser (Saint John) on 21 July and 8 Sept. 1802. 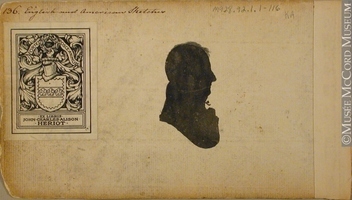 Raymond also edited Winslow’s “A sketch of the province of Nova Scotia, and chiefly of such parts as are settled,” N.B. Hist. Soc., Coll., 2 (1899–1905), no.4: 142–62. N.B. Museum, H. T. Hazen coll. : Ward Chipman papers. PAC, MG 23, D1, ser.1, 1: 356–60; 4: 1318–49, 1362–67; 6: 7–8; 10: 297–99; D4: 10–lob; GII, 10, vo1.2: 1035–42. PANB, RG 2, RS6. PANS, MG 1, 939: 22; 940: 4. PRO, CO 188/1–19, CO 217/56–59; PC 2/129: 192, 412; PRO 30/55 (copies at PAC). UNBL, MG H2, Edward Winslow, affidavit to loyalist claims commission, 28 Oct. 1783; fragment of letter, c.1780; letters, Winslow to Joseph Chew, c.1797; to Ward Chipman, 7 July 1783, 27 April 1784, 25 April 1785; to John Coffin, 4 Oct. 1784; to Robert Hallowell, 2 May 1778; to George Leonard, 5 Oct. 1784; to Daniel Lyman, 12 March 1800; to Benjamin Marston, 16 March 1786; to J. G. Simcoe, 7 April 1792; to Gregory Townsend, 17 Jan. 1793; to Benning Wentworth, 9 July 1778; to Sir John Wentworth, 25 July 1807; to Edward Winslow Jr, 13 June 1811; Ward Chipman to Winslow, 25 June 1783, 14 March 1784; H. E. Fox to Winslow, 14 April 1784; E. G. Lutwyche to Winslow, 5 Jan. 1807. William Bradford, Of Plymouth Plantation, 1620–1647, ed. S. E. Morison (New York, 1952), 86n. G.B., Hist. Mss Commission, Report on American manuscripts in the Royal Institution of Great Britain, [comp. B. F. Stevens, ed. H. J. Brown] (4v., London, 1904–9), 4: 243. N.B., House of Assembly, Journal, 1786–1814; Legislative Council, Journal, [ 1786–1830]. Royal commission on American loyalists (Coke and Egerton). New Brunswick Royal Gazette (Saint John), 1785–1815. Saint John Gazette (Saint John), 1783–1807. Jones, Loyalists of Mass. Sabine, Biog. sketches of loyalists. Shipton, Sibley’s Harvard graduates, vol.16. Condon, “Envy of American states.” Margaret Ells, “Loyalist attitudes,” Historical essays on the Atlantic provinces, ed. G. A. Rawlyk (Toronto, 1967; repr. 1972), 44–60. G. S. Graham, Sea power and British North America, 1783–1820: a study in colonial policy (Cambridge, 1941). J. W. Lawrence, The judges of New Brunswick and their times, ed. A. A. Stockton [and W. O. Raymond] ([Saint John, 1907]). W. S. MacNutt, The Atlantic provinces; the emergence of colonial society, 1712–1857 (Toronto, 1965); New Brunswick. R. W. Sloan, “New Ireland: loyalists in eastern Maine during the American revolution” (phd thesis, Mich. State Univ., East Lansing, 1971). Wright, Loyalists of N.B. Marion Gilroy, “The partition of Nova Scotia, 1784,” CHR, 14 (1933): 375–91. C. W. Rife, “Edward Winslow, Junior: loyalist pioneer in the Maritime provinces,” CHA Report, 1928: 101–12. Ann Gorman Condon, “WINSLOW, EDWARD,” in Dictionary of Canadian Biography, vol. 5, University of Toronto/Université Laval, 2003–, accessed April 22, 2019, http://www.biographi.ca/en/bio/winslow_edward_5E.html.